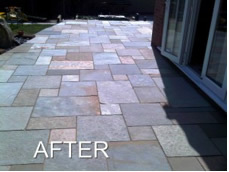 Patios and decking, over time, lose their stunning looks when the dirt, dust, lichen and moss work their way onto your beautiful investment. 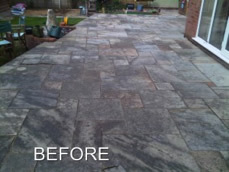 In the wet, the surface becomes dangerously slippery as a result of the moss and algae growth thriving on the paving slab. 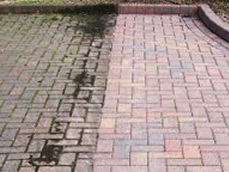 By using a high-pressure jet wash and with no harmful chemicals, the beauty of the surface is revealed back to its former glory in an eco friendly way. 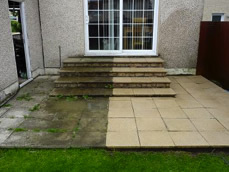 At The Window Cleaning Company, we like to see things looking their best, so we can provide a cleaning service to bring out the best in your patio, decking or driveway. As a further option most surfaces can be sealed to keep that “new look” for longer.